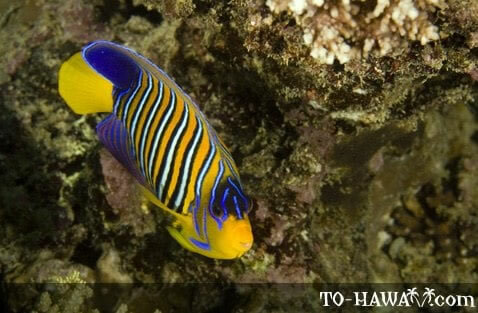 Angelfishes can be found on Hawaii's shallow reefs, as well as in the tropical Atlantic, Indian and Pacific oceans. There are about 86 species of angelfish, of which five are common in Hawaii. Many of them have vibrant-colored bodies and can easily be confused with butterflyfishes. 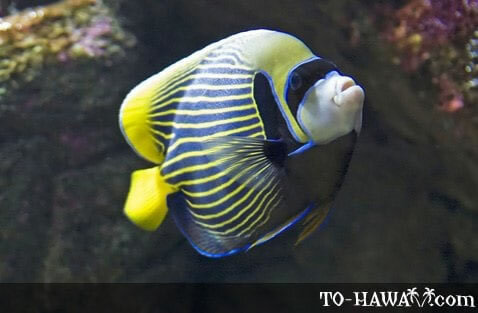 Angelfishes are one of the most commonly seen fishes among divers and snorkelers in Hawaii.